If you’ve been following along, you’ve noticed by now how essential toys are to our culture’s story. And here it is again, a tale of how science influenced toys, which influenced the creation of moving pictures. In Optical Toys, part of the new permanent exhibits at The National Museum of Toys and Miniatures, visitors explore the 1820s discovery of persistence of vision. Scientists theorized that the human eye remembers an image for a fraction of a second after it disappears. Thus, if two images are moving rapidly, the mind blends them into one image. Caught on yet?! While this was only part of how the mind perceives movement, it set in motion (see what we did there?) the exploration of how the mind explores action and depth through optical toys. Think View Masters, stereoscopes, and kaleidoscopes. In the center of it all is a giant zoetrope showing one of our favorite toys taking flight. Through the use of fast moving picture strips viewed through a slot (think of it like a flip book), our now permanently grounded plane is able to soar the skies. The phrase “you can’t take it with you” certainly hasn’t been around forever. As The Metropolitan Museum of Art’s exhibit Design for Eternity: Architectural Models from the Ancient Americas shows, ancient Mesoamerican and Andean cultures may have believed quite the opposite. From 100 B.C. until European contact in the sixteenth century, artists in the ancient Americas created small-scale models to be placed in the tombs of important individuals. Although there is very little documentation on how these objects were used, Maya hieroglyphs refer to the miniature structures as “god houses” or “sleeping places for the gods.” The exhibit includes examples of these models in a variety of materials including ceramic, wood, stone, and metal that replicate historic palaces, temples, and everyday living spaces. Even though their original intentions may be lost, it’s fascinating to see evidence of humankind’s long-standing interest in miniature art. Photo: House Model, 100 B.C.-A.D. 200, Nayarit, Mexico. Courtesy of The Metropolitan Museum of Art, www.metmuseum.org. While having three Barbies with three different hair color and styles is nice, wouldn’t one Barbie with the ability to have all three be even better? In 1963, Mattel introduced little girls to a Barbie doll that could change her hairstyle faster than a box of at-home hair dye. Fashion Queen Barbie sported a sculptured hairdo that could be covered with three wigs: a blond bubble cut, a brunette pageboy, and a red flip. 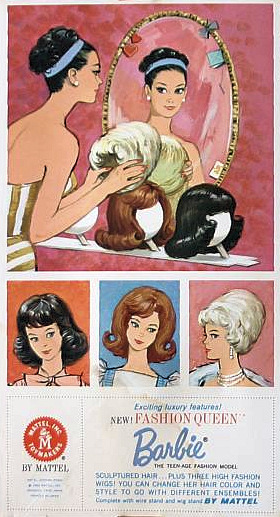 Not only were wigs a popular fashion item in the early to mid-1960s, but the hairstyles included were all the rage too! 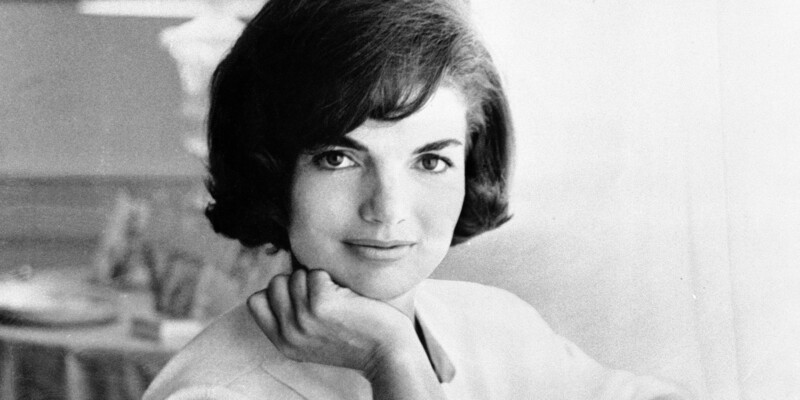 Barbie began to sport the bouffant bubble cut in 1961 in response to the newest haircut of 1960s fashion icon, first lady Jacqueline Onasis Kennedy. Although she arrived in a striped gold and white lamé swimsuit, this Barbie had an extensive wardrobe thanks to the mother of her owner, Donna. Donna’s mother was a home economics teacher and handmade a faux leopard coat and hat, a striped white and blue sundress, and a red dress that made Ken’s head turn! This falls into the category of “don’t breathe” or “we thought houses of cards were difficult;” these artists have taken it to the next level. In 2010, artist Peter Root spent 40 hours standing 100,000 staples on end to build a miniature city inspired by New York City that he called Ephemicropolis. Stan Munro builds famous landmarks out of toothpicks. What started as a 5th grade art project turned into Toothpick City. The City features more than 50 famous structures from around the world (the Space Needle, Eiffel Tower, Golden Gate Bridge) made out of six million toothpicks and 170 liters of glue. Now on permanent exhibit in a Spanish museum, Munro has continued crafting, including Toothpick City 2 at the Museum of Science and Technology in Syracuse, New York. Artist Meschac Gaba made a large-scale model of a fantasy city featuring landmark buildings from around the world (Taj Mahal, Sydney Opera House, Empire State Building). Seems simple enough, right? What if I told you it was all made out of sugar? Meschac Gaba: Sweetness includes 600 buildings, measures 30 feet by 20 feet, and took two years to build. Talk about sweet! Photo: Toothpick City 2, MOST.org.